← What has happened to my legs – has someone sent them on holiday?? 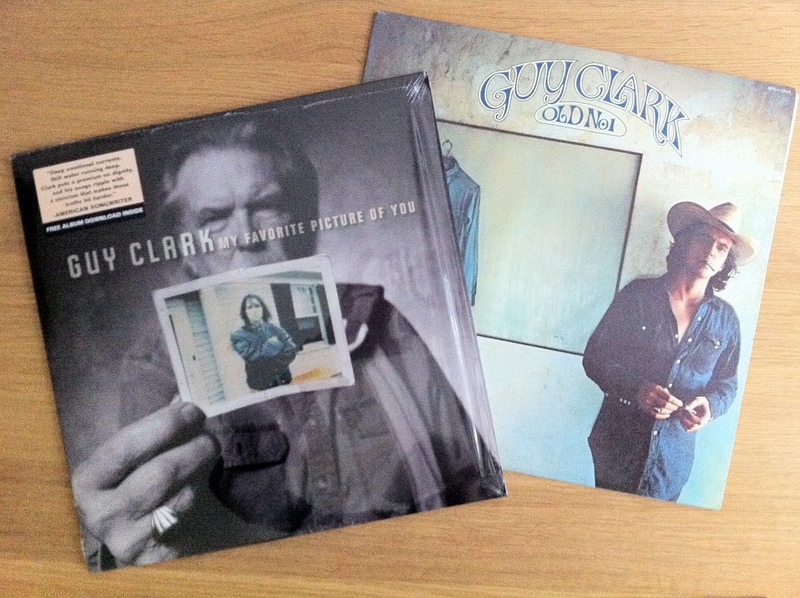 Dualtone records have just issued this fantastic new lp “My Favorite Picture Of You” by Guy Clark on vinyl – thank you. For those of you who haven’t heard of Guy Clark – he is probably best described as a Texan singer/songwriter who is a songwriters songwriter. With this new lp and “Old No.1” (released in 1975) the songs just take you someplace else and are delivered in what I consider is the aural equivalent of sitting in your best old cords, with your most comfortable old slippers in front of a fire with your loved one snuggled next to you. The album has 11 songs – 10 by Guy and collaborators and one Lyle Lovett cover. The title song of is a heartfelt piece that refers to an old picure of his wife who passed away last year. As an indication of the breath of the writing, there is one song leaning towards the American variant of Matty Groves, another concerned about the affects of war, one on people smuggling. and then you have “Hell Bent On A Heartache”. It is not a concept album – just an album full of great (Texan) songs. It is many years ago now that I was introduced to Guy Clark and his brilliant lp “Old No1” (I think it must have been a review in NME that alerted me to it) which is a solid gold classic that will stay in my collection ’til I pass away. And I think this new one will still be sitting alondgside it. I must be honest, while I bought it because it was on vinyl, so far most of my listening has been via the included download on my i-pod. Yesterday as I travelled to Dorcheter and back, I listened to it 5 times straight – a rare thing these days – in fact I am struggling to think of a new recording that has caused me to do that for a long long time – praise enough. This entry was posted in Music, Vinyl Records and tagged Dualtone Records, Gramophone record, Guy Clark, Music, Vinyl Records. Bookmark the permalink. You are right, the new Guy Clark album is a treasure. Had a chance to see him in Nashville last year and when he did “Dublin Blues” there was not a dry eye in the place.